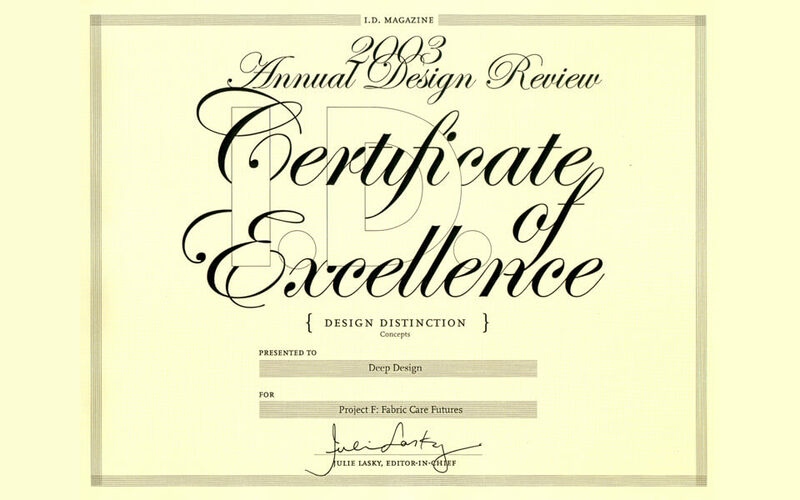 2005_ ADI Design Index, selects for Compasso d’Oro 2007, the electric broom Flexica (Imetec), Milan. 2002_ Young & Design Prize, for “Pulse” (Whirlpool), Salone del Mobile, Milan. 1996_ Special mention for ecological packaging project for cosmetics, 3°Cosmopack International Prize, Bologna.